Built according to the owner in 1871. This fundraiser is being conducted by The Downey Conservancy. 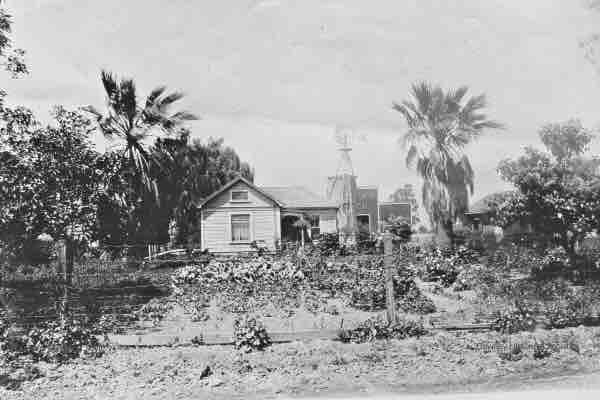 The Downey Conservancy is the community-based organization dedicated to promoting and supporting the preservation of the culturally and historically significant resources of the City of Downey. The two people with the pushcart are: Ed C. Lewis pushing, and his son, a very young Ed H. Lewis, riding. I just wanted to update you all on the nomination. We toured the home about a month ago with the consultant and everything went really well. Some interesting facts about the home. 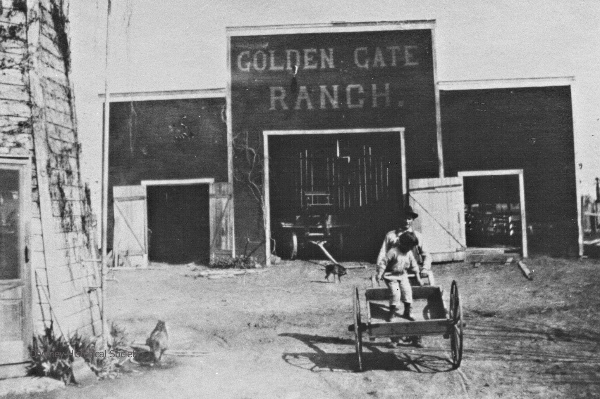 They use to sell cabbage to Knott’s Berry Farm for the chicken dinner plate. They also have original boysenberry plants that they had received from Mr. Boysen. They still have part of the original barn, and ducks and chickens still wonder the property. As soon as we have any more info on the nomination we will post. I just wanted to thank everyone for the donations. We have met our goal! We had a few donations come in to us in person as well which aloud us to achieve our total. Again, thanks to all who helped make this possible. We received a couple direct check donations to the fund which has allowed us to drop our total for the fund. You can help us meet our goal. Donations graciously accepted and are tax deductible. 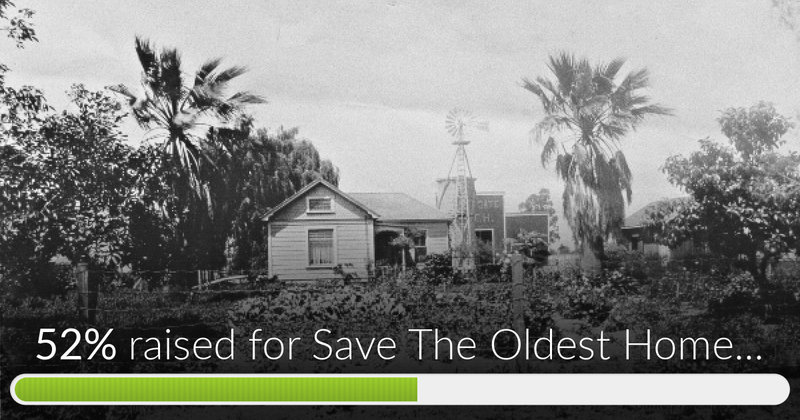 Save The Oldest Home In Downey, CA has reached 52% of its goal. Thanks to all who have contributed! We still need you help, spread the word and please share our link. We can’t do this without your help. All donations are tax deductible.